This poem first appeared in One Vision (2011) and Quill and Parchment (2011). 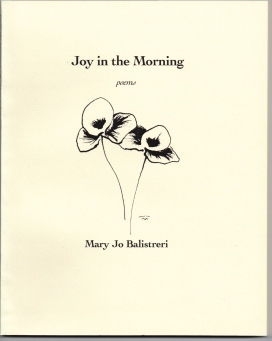 Mary Jo Balistreri is the author of Joy in the Morning, published by Bellowing Ark Press, and the chapbook, Best Brothers, published by Tiger’s Eye Press. She is one of the founding members of Grace River Poets, an outreach program of poetry for women's shelters, churches, and schools. 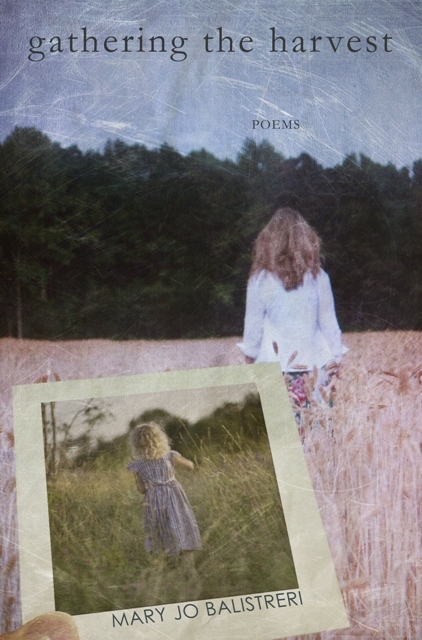 Mary Jo's poems have appeared or are forthcoming in MOBIUS, The Healing Muse, Passager, Tiger’s Eye, Ruminate, Verse Wisconsin, Quill and Parchment, Crab Creek Review, and others. She recently placed first for essay in the Wisconsin Writers Jade Ring Contest, and is the recipient of a Pushcart Nomination in poetry. Ah yes, we loved this poem when we first published it at Quill and Parchment. Congrats on your most recent Pushcart Prize nomination! Keep those wonderful poems coming! Jo, your poem entered my heart and I will keep it there as I carry these images with me on my journey. Thank you. The beauty of nature as you drive to Door county -so often we do not take the time to appreciate the little things in life. And everyday life takes us through the joy as well as the grief. What a journey you are on Jo. Thank you for sharing your wonderful poetry with us! I feel these images and sounds quietly going to work on me even as I am doing other things. One of my favorites of yours, Jo! This poem is timeless! So beautiful, Jo. I love its flight on the page. The white space in this poem goes even beyond the words. Lovely, just lovely, Jo! Lovely. All I can say is thank you for writing this, Jo. This beautiful and bitter-sweet poem shows Mary Jo's true artistry. The experience of a new level of grief when memories begin to fade is so well-stated. "We carry them forward even as they vanish into the blur of distance"
This poem stirs memories of the people who have left our holiday tables. A poignant journey through nature and memory, the closing poem in Mary Jo's beautiful new book. A beautiful poem. I love the descriptions. The "two small boys" broke my heart - they brought me back to the drowning death of two young brothers I had cared for in the church nursery. You packed a lot into this poem, Mary Jo. and I heard the grief! thank you for this poem.